"Queen sphecia grows more powerful by the day, and the town of Steamford is in trouble. Dobber Plateau hides a dangerous mystery, and the characters have very little time to solve it." 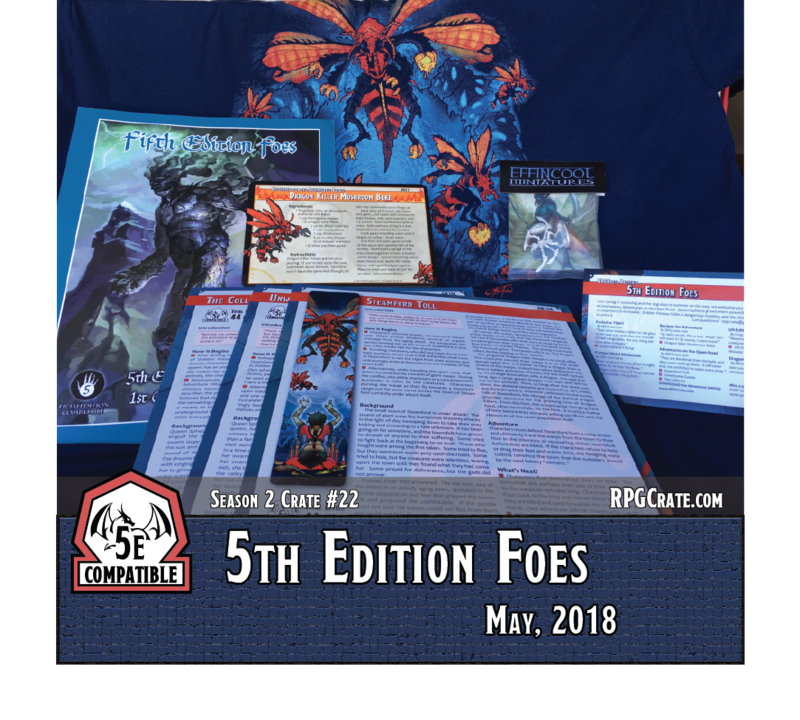 This month we added a massive monster guide from Frog God Games...hundreds of pages of monsters...along with the usual goodies of adventure cards, miniatures, and modules.. If you missed out on the May 2018, grab one while they last - supplies are limited.